This beautiful old bridge gives the feel of it being located in an old historical winter town. The bridge is very classic and stunning with its design and the stone looks like it has been touched by the heavy winter frost. The reflection in the river below creates lovely light and tranquillity to the image and you almost want to step into these Christmas ecards for business! The bridge maybe is remote or even derelict so people cannot walk over the walkway of the bridge, which is why the delectable holiday soft white snow is untouched with its surrounding. You could imagine walking around this lovely bridge and feeling the crunch of snow beneath your feet. 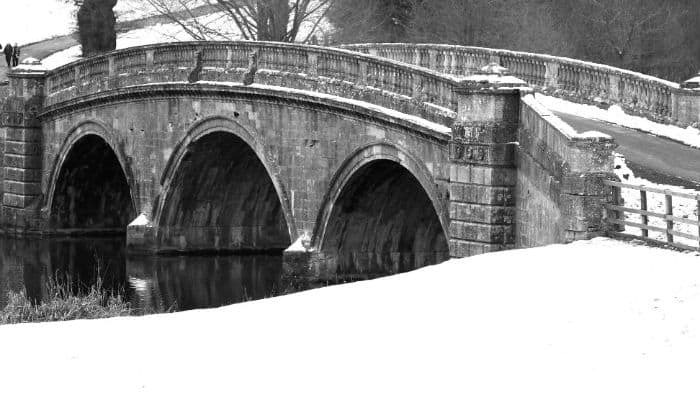 This vintage bridge would make a truly lovely image this year for your clients, with the right message and festive track from our large range of tracks to choose from. Why not register an account with the ecard shack today and create something really special for your clients this year? Registering an account with us is completely free of charge and is a great opportunity for you to save your cards and come back to them. You can create as many business holiday ecards as you like and edit these as and when you need to.